Lightly muddle mint leaves and Simple Syrup in a mixing glass. Stir in Cognac and whiskey. 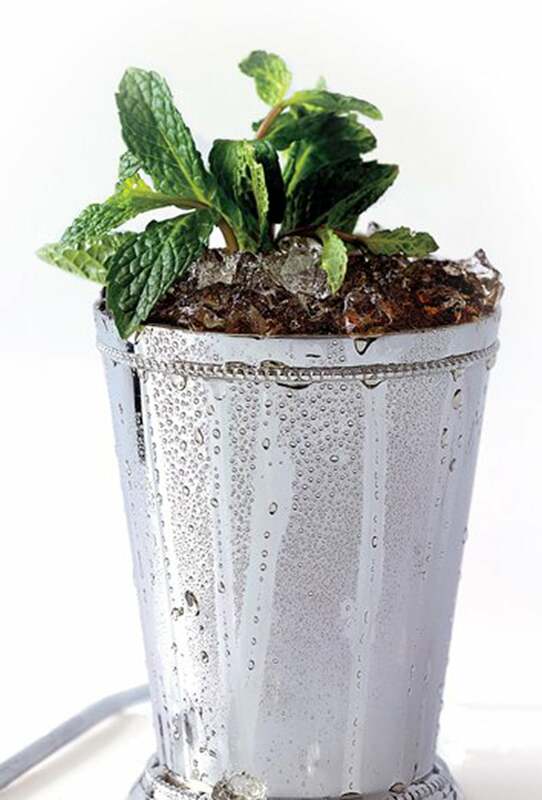 Fill a Julep cup or glass with crushed ice. Pour mixture over. Stir until frost forms on outside of cup. Add more crushed ice to make a mound. Garnish with mint sprigs and serve with a straw.